Camping Ur Onea is a luxury camping site with a privileged setting in one of the most scenic areas of the Basque Country. Here you can enjoy your next camping holiday immersed in the vibrant green and blue colours of the Basque landscape. At LuxCamp we know what luxury camping is about. 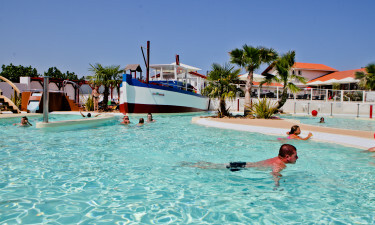 Camping Ur Onea meets the criteria as it offers everything from stays in a luxury mobile home offering every comfort to a lively entertainment programme, not forgetting the campsite's proximity to picturesque seaside villages known for their extraordinary gastronomy. If all this sounds exciting, book your luxury camping experience in the Basque Country with LuxCamp. Why choose Camping Ur Onea? 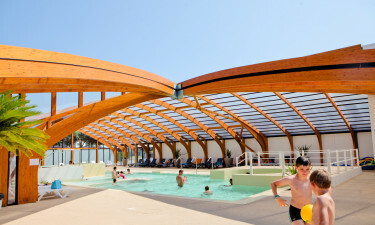 Camping Ur Onea offers guests an entire water park consisting of two outdoor pools (one of them heated), a paddling pool, a covered and heated pool with jacuzzi and massage wall features, and a free-form pool that flows around the area like a river. Sun decks and spa services are also available. 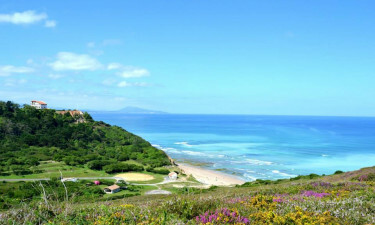 Only 1 kilometre away from Camping Ur Onea you'll find Bidart beach, which stretches for 5 kilometres and offers spectacular ocean views against the backdrop of the Basque Pyrenees. The local beaches are known for their rugged beauty and are ideal for surfing, windsurfing, kitesurfing, and of course, sunbathing!